Enjoy the best inspirational, motivational, positive, funny and famous quotes by Al Geiberger. Use words and picture quotations to push forward and inspire you keep going in life! 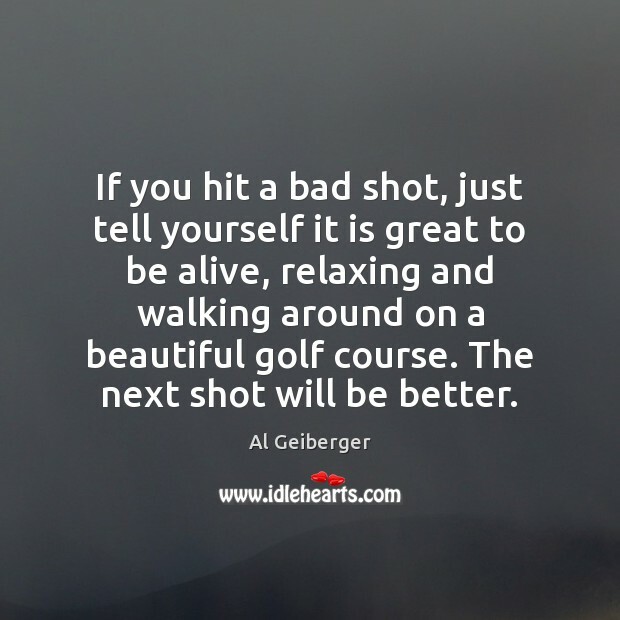 If you hit a bad shot, just tell yourself it is great to be alive, relaxing and walking around on a beautiful golf course. The next shot will be better. 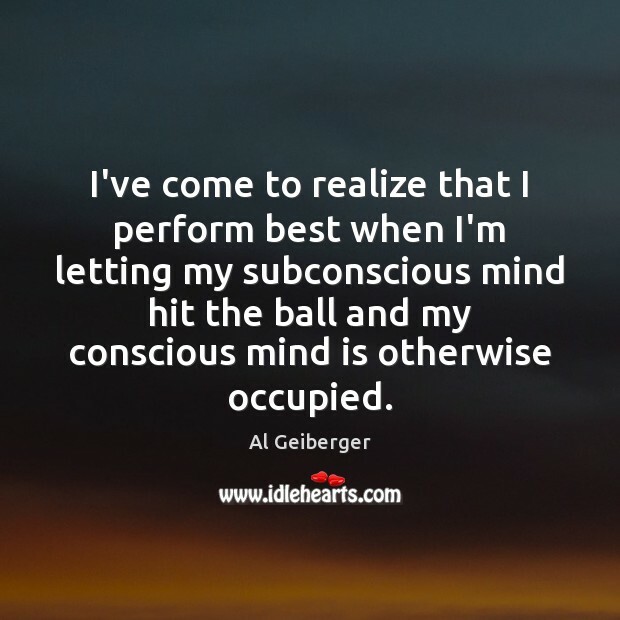 I've come to realize that I perform best when I'm letting my subconscious mind hit the ball and my conscious mind is otherwise occupied. 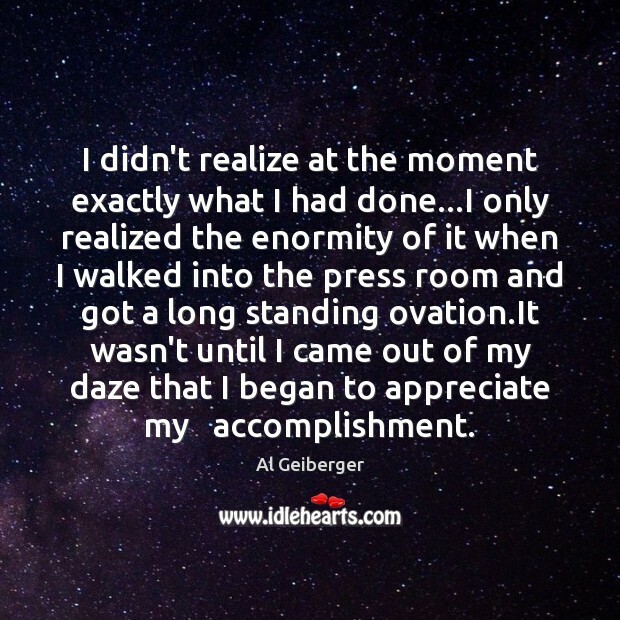 I didn't realize at the moment exactly what I had done...I only realized the enormity of it when I walked into the press room and got a long standing ovation.It wasn't until I came out of my daze that I began to appreciate my accomplishment.